This is the online menu of our extensive line of Body Basics products. The menus above will show the custom scentable base products, their sizes and prices, and the scents that are available. 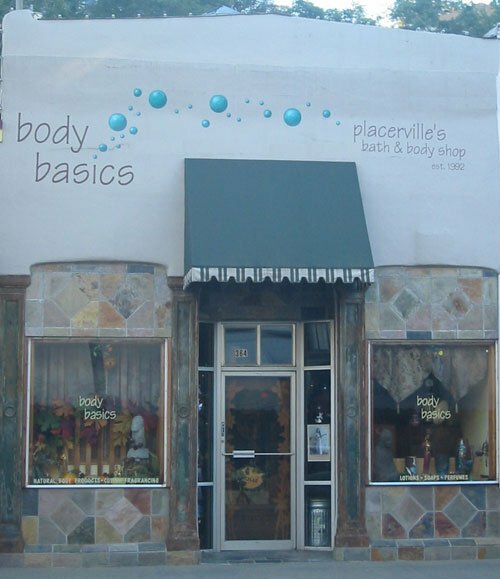 When you’re ready to make an order, or if you have any questions, please call us at (530)622-2988 and a member of our wonderful Body Basics family will be happy to help you. If you’ve visited our shop in person, you know we have so much more than the bath and body products listed here. Just ask, if we’ve got it, we’ll ship it to you!